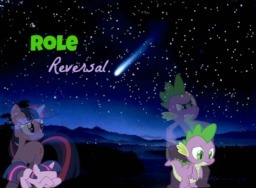 Spike makes a wish that swaps his life with Twilight's and learns a few life lessons along the way. 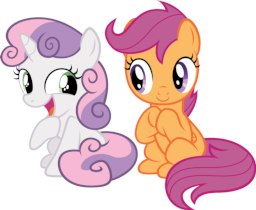 Trapped in Apple Bloom's wardrobe in order to cover her, Scootaloo is forced to entertain herself as quietly as possible. It goes about as well as you can expect. 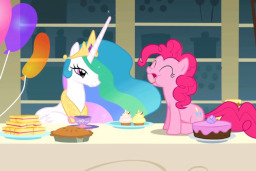 The two most intriguing minds in Equestria sit down and have tea together. A web of lies can make for a heavy heart. 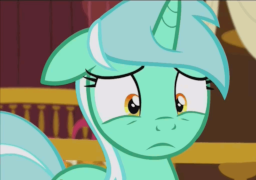 When the pony you love turns out to have hidden their whole identity, what does that mean for a relationship? 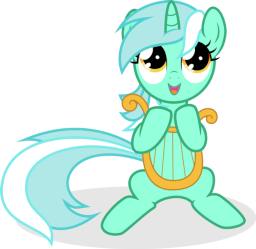 Bon Bon is your average hard working mare, running her own candy stall in Ponyville. 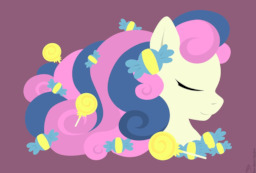 But when Celestia tries one of her candies, she gives Bon Bon the offer of a lifetime. With Twilight by her side, how will Bon Bon cope with the changes ahead? 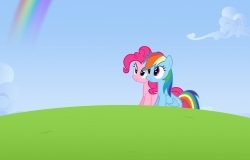 In a whirlwind of upset, Pinkie and Rainbow Dash have an argument that turns very sour indeed. 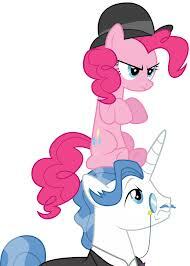 Can Pinkie figure out what to do to patch things up before it's too late? 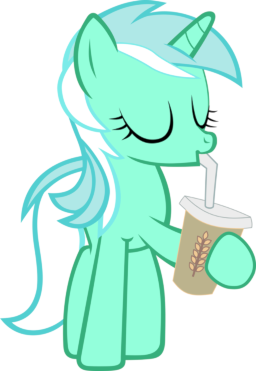 For Lyra, life is pretty swell. 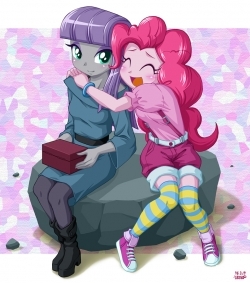 She has the best fillyfriend anyone could ask for in Bon Bon and she doesn’t need to worry about work at all. If only things stayed that simple. 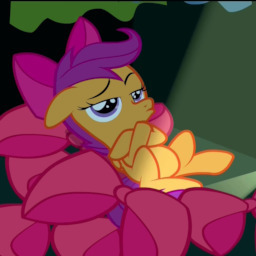 When Sunset explodes in anger at Sci-Twi, she ends up having a little heart to heart with Rainbow Dash about her rage. 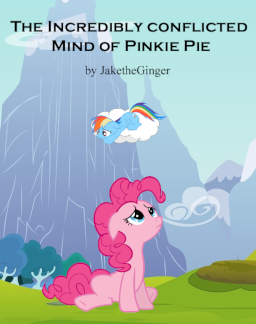 In the aftermath of the changeling invasion, Pinkie dwells on life and love, with the end goal being furthering her relationship with Rainbow Dash. When Fancy Pants goes to Ponyville on Hearts and Hooves day, he gets a bit more than he expected when he runs into Pinkie Pie. Sunset Shimmer faces a threat that could potentially unravel her new life in Canterlot High. A danger that comes in the form of a hulking man in a classy suit. His name? 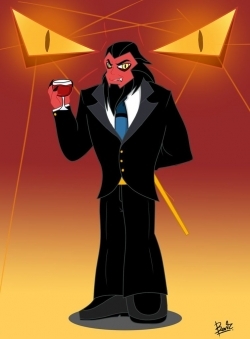 Superintendent Tirek. And he isn't afraid to pull any punches.